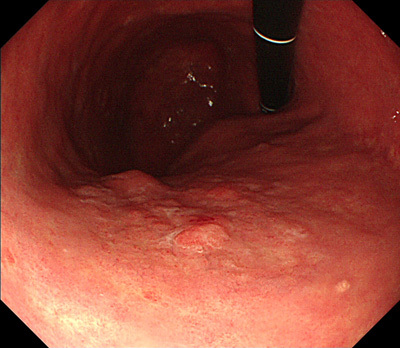 Endoscopy showed a flat elevated lesion at the anterior side of upper body. The lateral extension was indistinct. 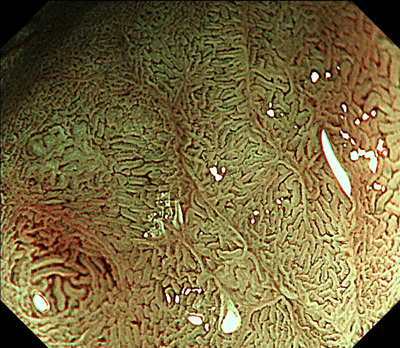 Irregular villous pattern was observed by NBI magnified endoscopy. 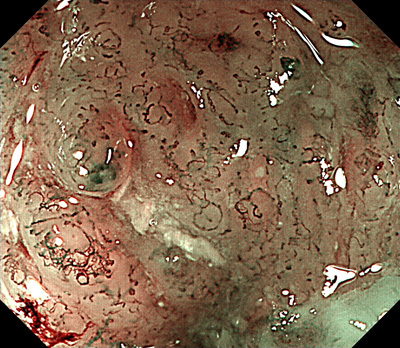 How do you diagnose and treat this lesion? 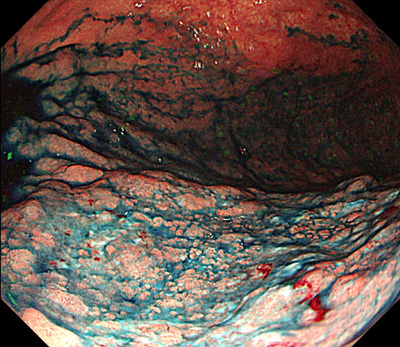 A flat reddish lesion was observed in the sigmoid colon. 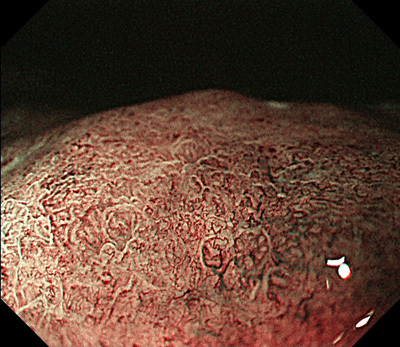 Surface of the lesion was covered by thick mucus. 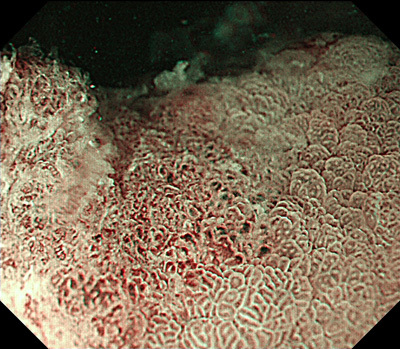 NBI and indigo carmine die spreading revealed type II pit pattern. What’s your diagnosis? And how do you treat this patient? 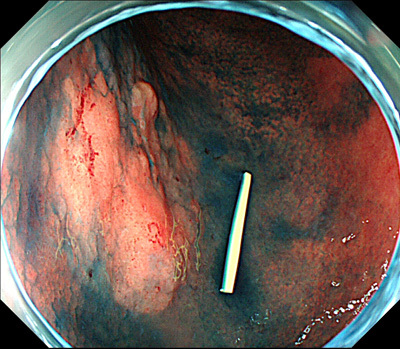 A reddish depressed lesion was found at the middle thoracic esophagus. The lesion looked like thick and irregular. 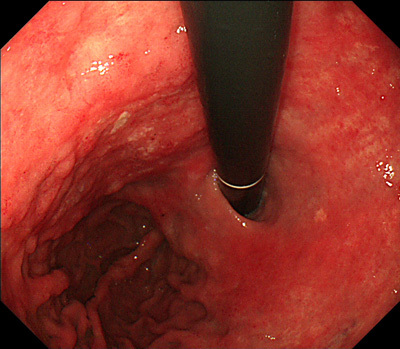 However, vascular irregularity was mild by NBI magnified endoscopy. 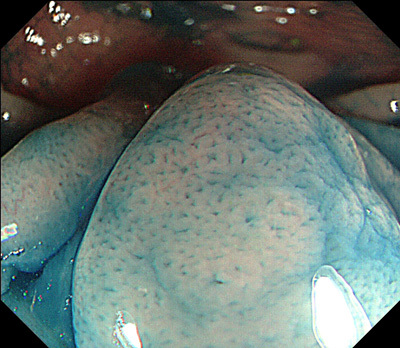 How do you diagnose and treat this lesion? Endoscopy showed a flat depressed lesion at the greater curvature of upper body. The lateral extension was indistinct by indigo carmine spreading. 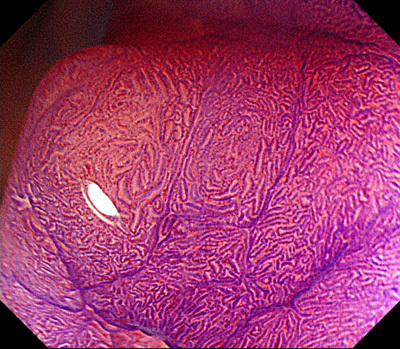 Irregular surfacen and vascular pattern was observed by NBI magnified endoscopy. What’s your diagnosis? And, how do you treat this lesion? 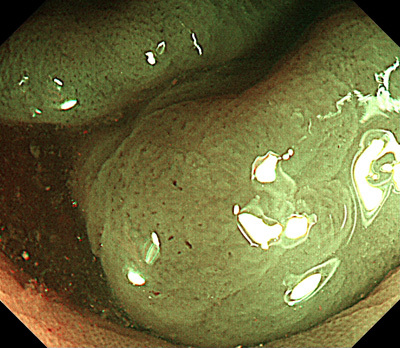 A lateral spreading tumor non-granular type was found in the sigmoid colon. 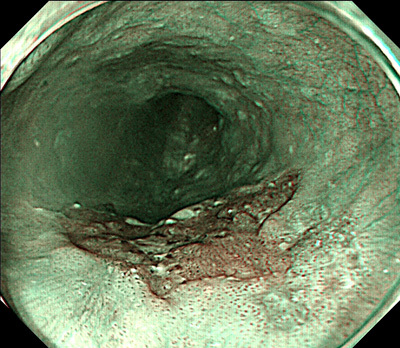 Irregular vascular pattern was observed by NBI magnified endoscopy. And, irregular surface pattern was observed by crystal violet staining. 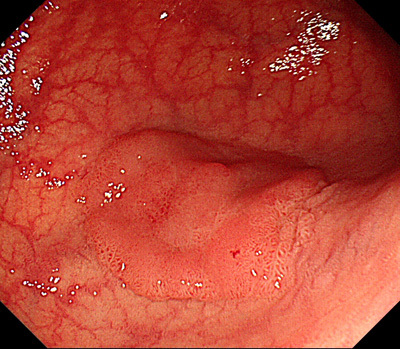 How do you diagnose and treat this lesion?